J.D. Richards, 94, of Nederland, died Wednesday, April 3, 2019. He was born on November 22, 1924, in Frankston, to Jewell Moore Richards and Claude Richards. J.D. served during World War II in the United States Navy. In 1959, he built their house in Central Gardens, Nederland. He enjoyed working with his hands. As a Machinist, he was very mechanical inclined. He loved Elk and deer hunting with his friends, Bill, Leonard, George, and others. He also loved fishing at the lake house in Toledo Bend. Survivors include his son, Henry T. Richards and his wife, Gail, of Nederland; daughter-in-law, Sheila Richards of Georgetown; grandchildren, Rusty, Jace, and Jonathan Richards; and sisters, Adeline Johnson of Houston and Sue Robinson of Frankston. He was preceded in death by his parents; wife, Jo Ann “Jo” Richards; son, Michael “Mike” D. Richards; and brother, Bobby Richards. 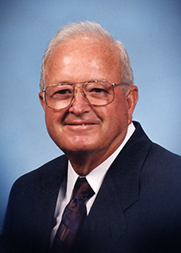 A gathering of Mr. Richards’ family and friends will begin at 2:00 p.m., with his funeral service at 4:00 p.m., Sunday, April 7, 2019, at Broussard’s, 505 North 12th Street, Nederland. His graveside service will be 11:00 a.m., Monday, April 8, 2019, at Frankston City Cemetery. Memorial contributions may be made in Mr. Richards’ memory to First United Methodist Church, 1826 Nall Street, Port Neches, Texas 77651. Thoughts & Prayers for Richards family as they go through this difficult time. James Richard's was a wonderful man & was one of my Dad's best friends for many years. May he Rest In Peace & enjoy seeing his Wife (JoAnn), his son (Mike) & my Dad.